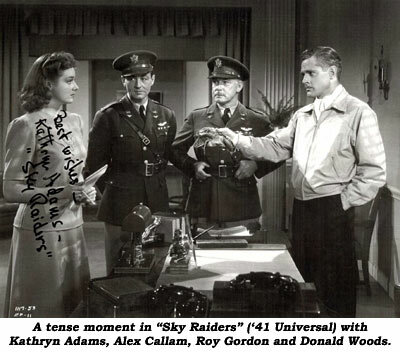 Beautiful, talented Kathryn Elizabeth Adams had a brief but memorable career in motion pictures. 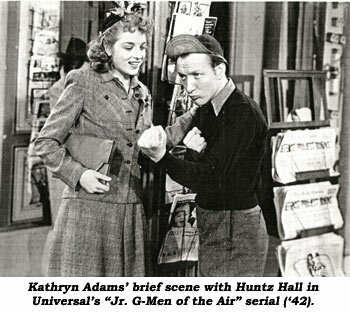 Born July 15, 1920, in Mankato, MN, “which is famous for the slaughter of 33 Sioux Indians (Laughs),” she got into pictures after being encouraged to enter a contest. 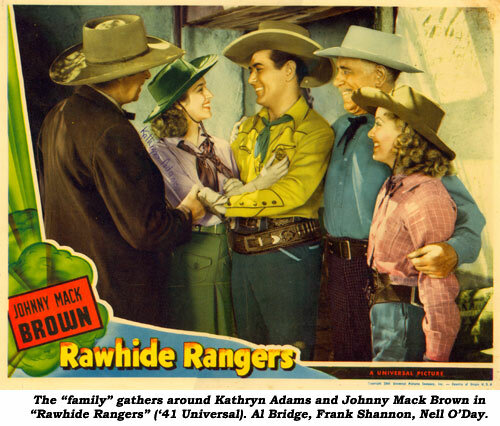 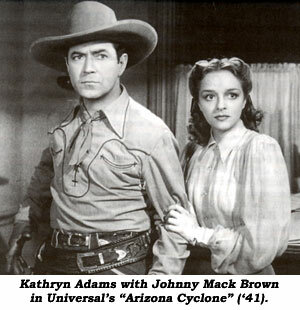 Movies: Molly Cures A Cowboy (‘40 RKO short)—Ray Whitley; Bury Me Not On the Lone Prairie (‘41 Universal)—Johnny Mack Brown; Rawhide Rangers (‘41 Universal)—Johnny Mack Brown; Arizona Cyclone (‘41 Universal)—Johnny Mack Brown. 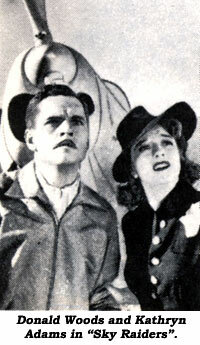 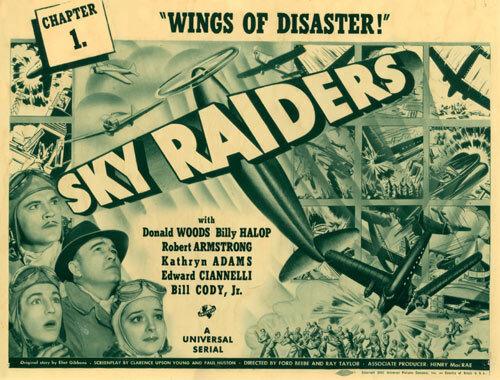 Serials: Sky Raiders (‘41 Universal)—Donald Woods; Jr. G-Men of the Air (‘42 Universal)—Dead End Kids.